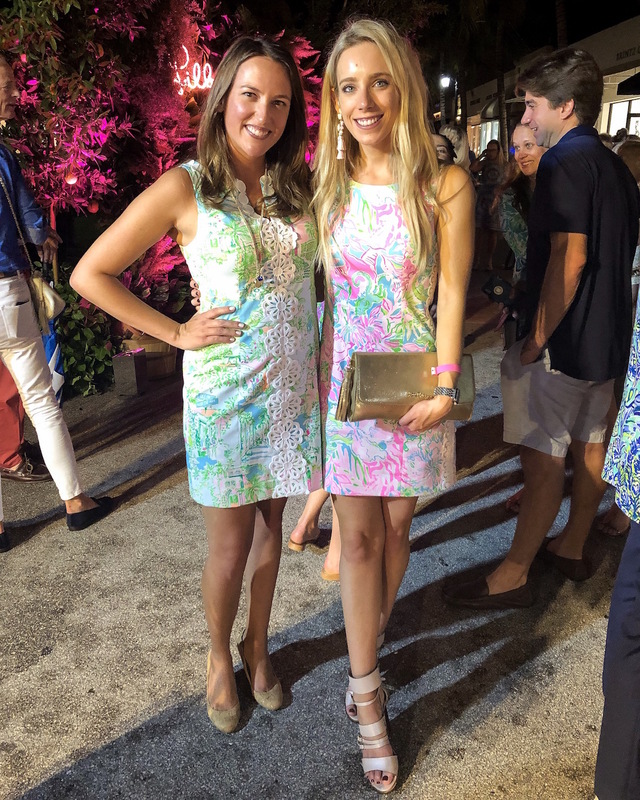 Getting to go to Palm Beach last weekend with the Lilly Pulitzer team was a dream. 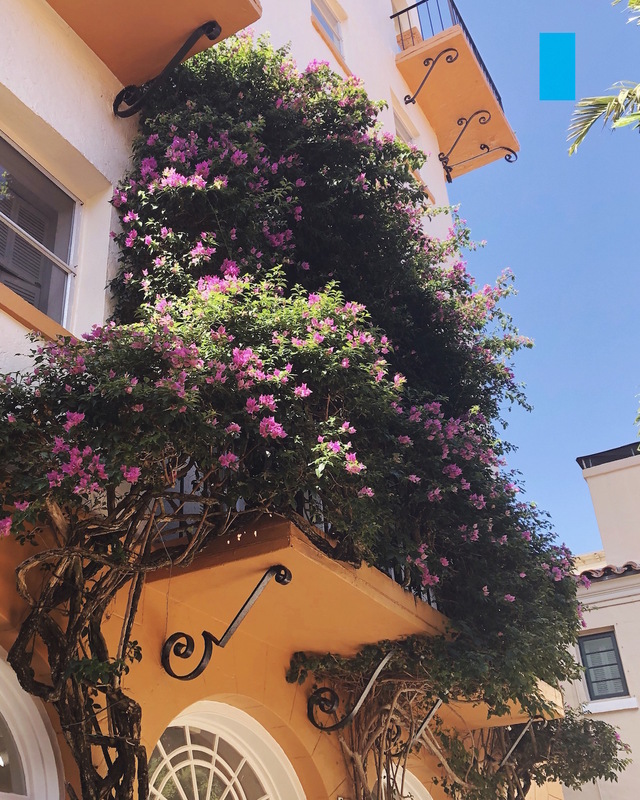 I’m sure you all saw on Instagram that I spent two magical days exploring the place where the Lilly Pulitzer brand was born. It was AWESOME! 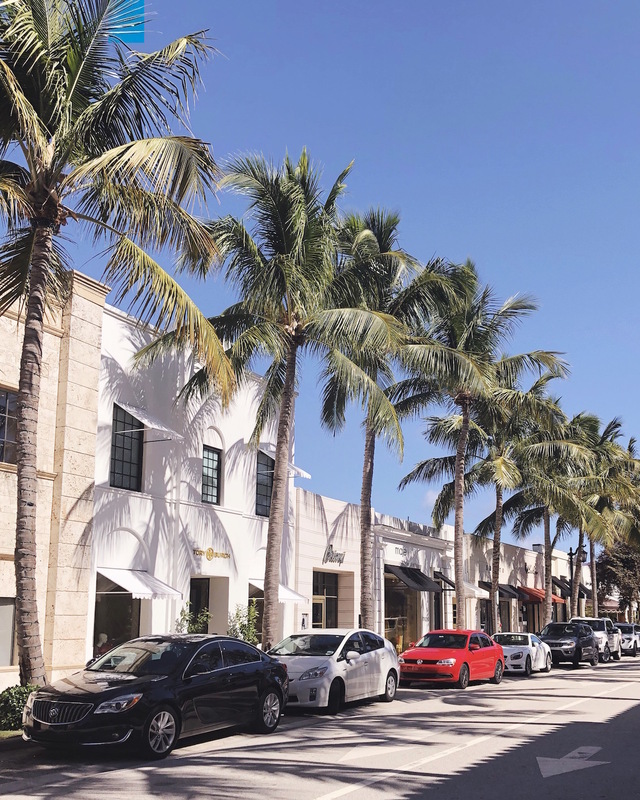 Palm Beach has been on my bucket list for a while, so getting to head there for the first time with one of my favorite brands made it that much more special. Somehow I completely forgot to pack any casual dresses so I quickly grabbed this tunic dress from the Worth Avenue store. This is one you could definitely dress up for night with the right heels and bag! Despite only being in town for two days, I was able to do so much! 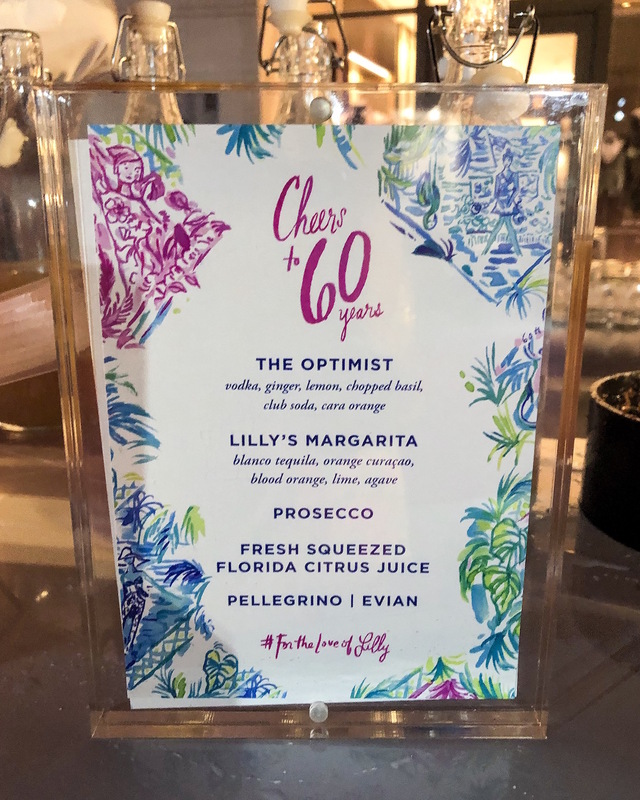 The Lilly Pulitzer team set up a fun-filled itinerary which included a stay at the Brazilian Court hotel, a guided tour of Palm Beach’s famous Worth Avenue, a night of partying at the brand’s 60th Anniversary Bash (more on that in a bit!) and most excitingly a shopping experience at the new Worth Avenue flagship store that just re-opened. Literally the grand opening was last Friday! 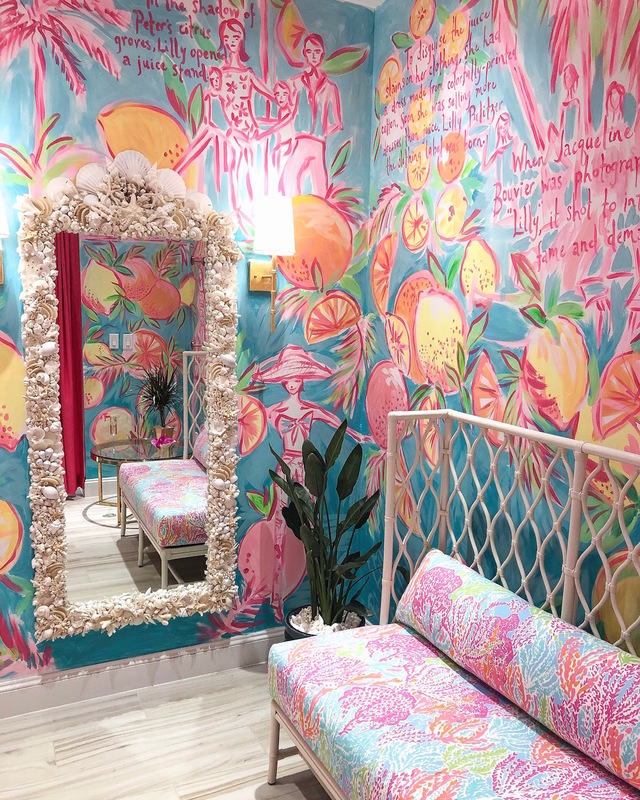 Fun fact: This is the ORIGINAL LILLY PULITZER JUICE STAND. Yes!!! 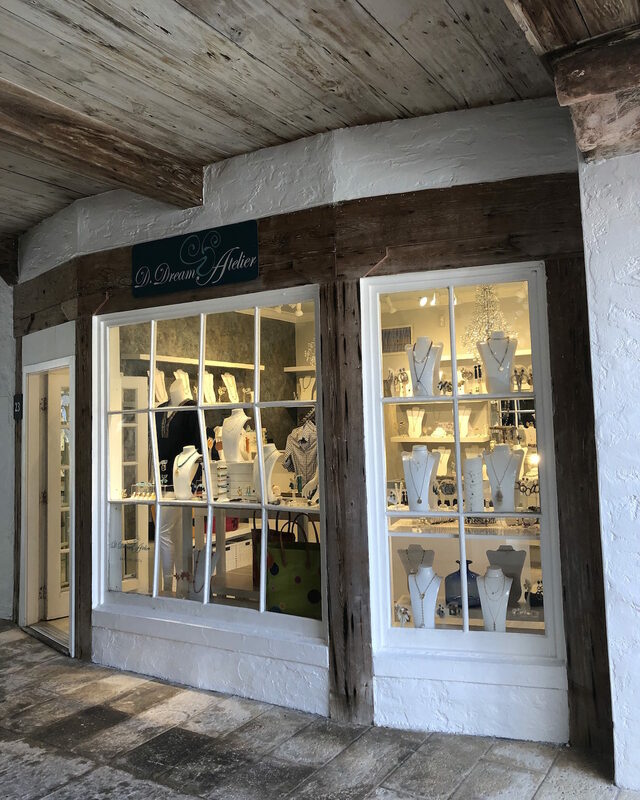 Today it’s a small jewelry store, but this is where the magic began! 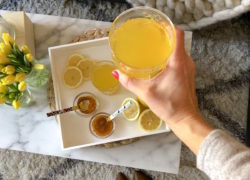 After moving to Palm Beach full time, Lilly decided to open up a juice stand right off of Worth Avenue. The job was messy so being the scrappy visionary she was, Lilly decided to make dresses in bright fruit-hued prints to disguise potential stains. Soon everyone in Palm Beach (including Lilly’s bff Jackie Kennedy) wanted to wear her designs and the rest is history! Shoutout to local guide Rick Rose for the awesome tour! So that shopping experience I mentioned? It was just a grab off the rack and try-on type of deal. 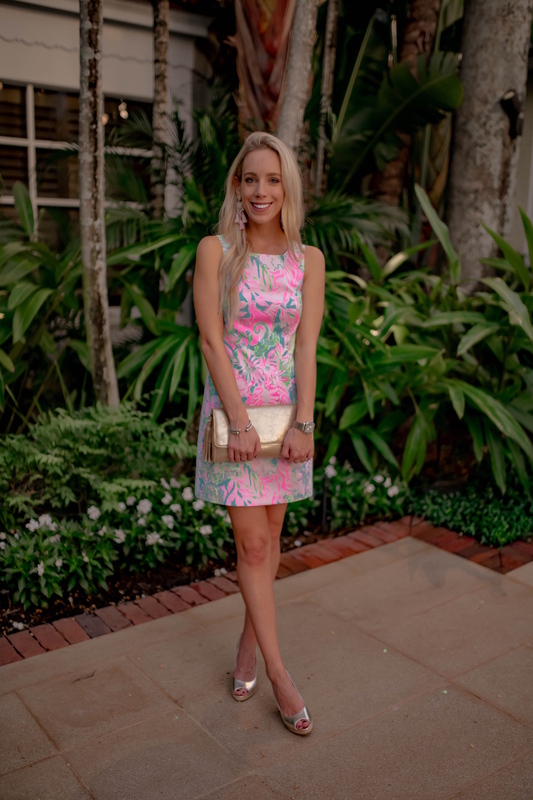 I got to design my own custom Lilly Pulitzer shift dress!!! When they told me what I was going to do my reaction basically was is this real life??? 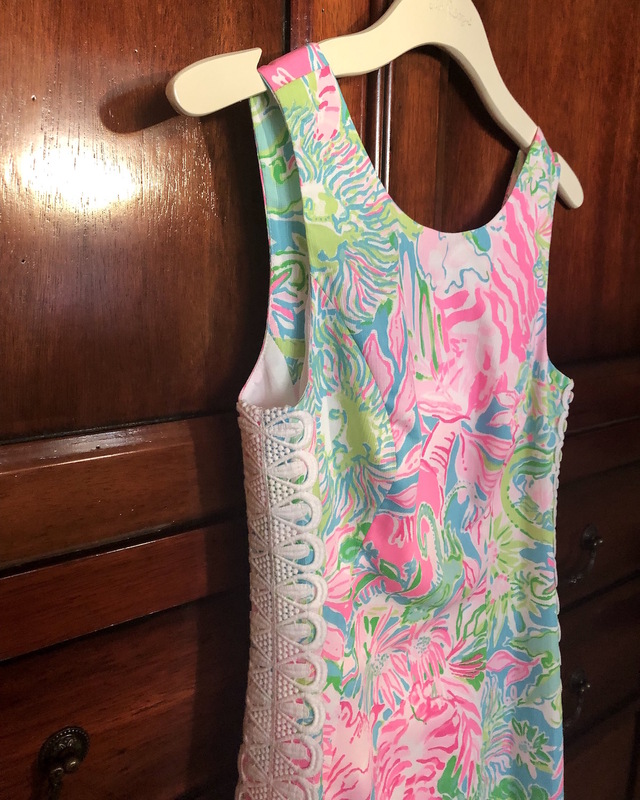 I think every Lilly lover has at some point probably fantasized about what their dream dress would look like. 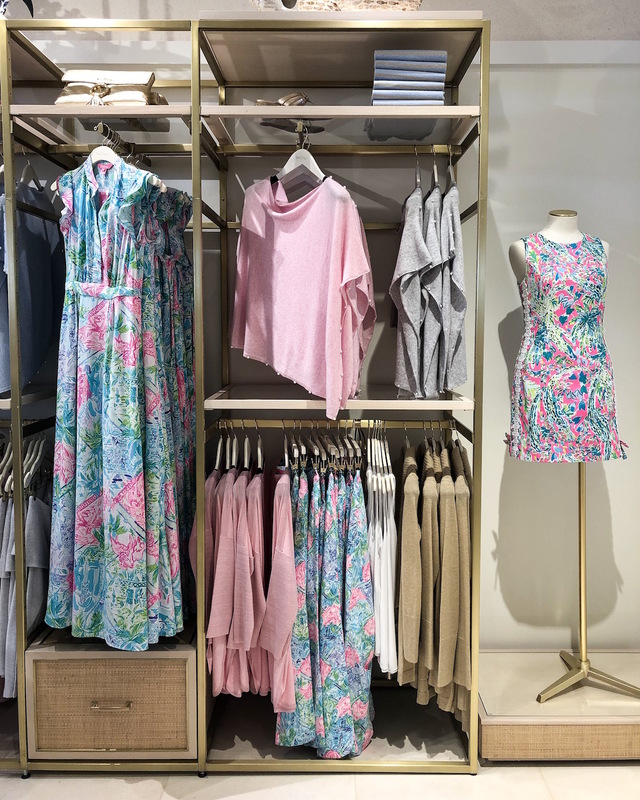 How can you not be inspired by the bright colors and whimsical florals, fruits and animals adorning the brand’s famous prints? 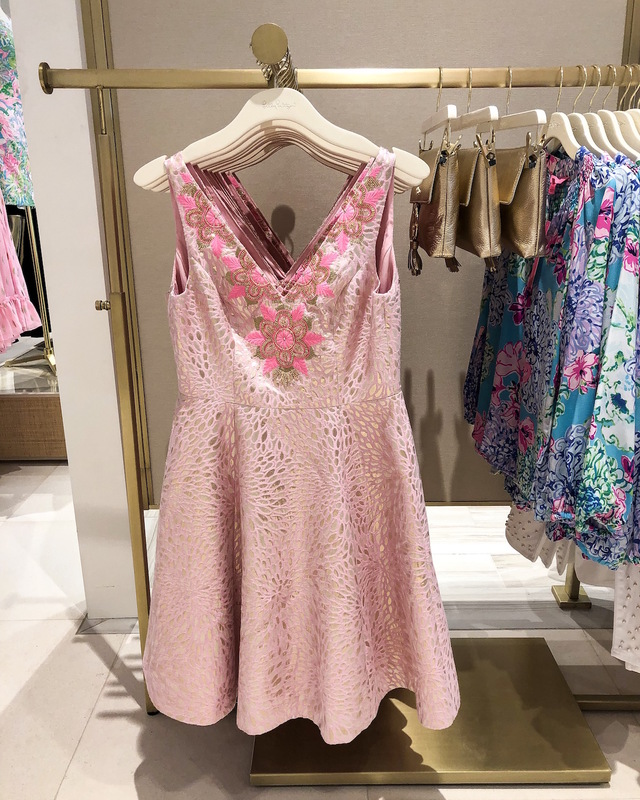 One of the signature features of the Worth Avenue flagship store is customers can design and create a custom shift dress by choosing their own style, print, length, custom lace detailing, etc. Right now it’s an exclusive service available only in the Worth Avenue flagship, however I’m keeping my fingers crossed it will roll out to more stores soon! 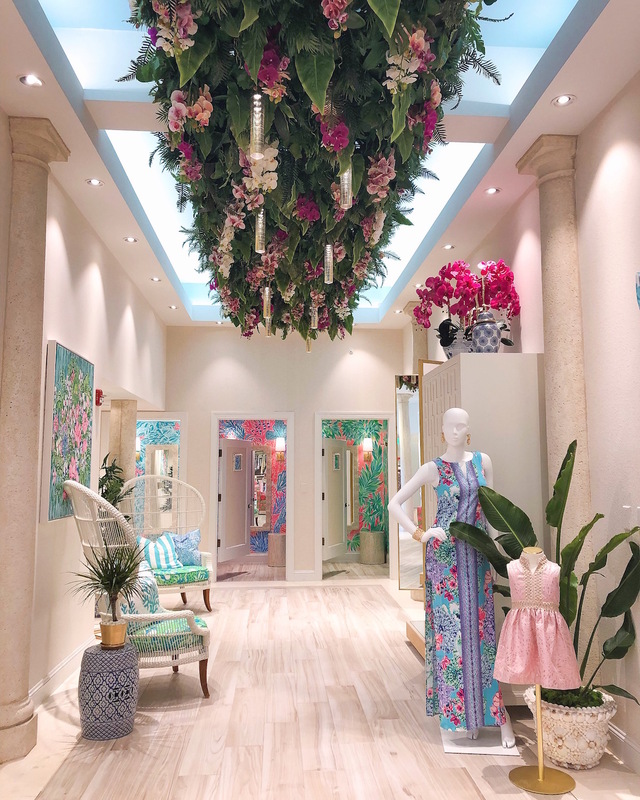 I couldn’t believe I was going to be one of the first Lilly lovers to create my own custom dress– total dream come true! Okay so here’s how the process worked… First I had to choose if I wanted to create a Gabby or Mila shift. I went with the Mila! Then it was time to pick a print. There are 5 prints available, all of which were created just for the custom shift shop. You can’t find these prints anywhere else but the Worth Avenue store! 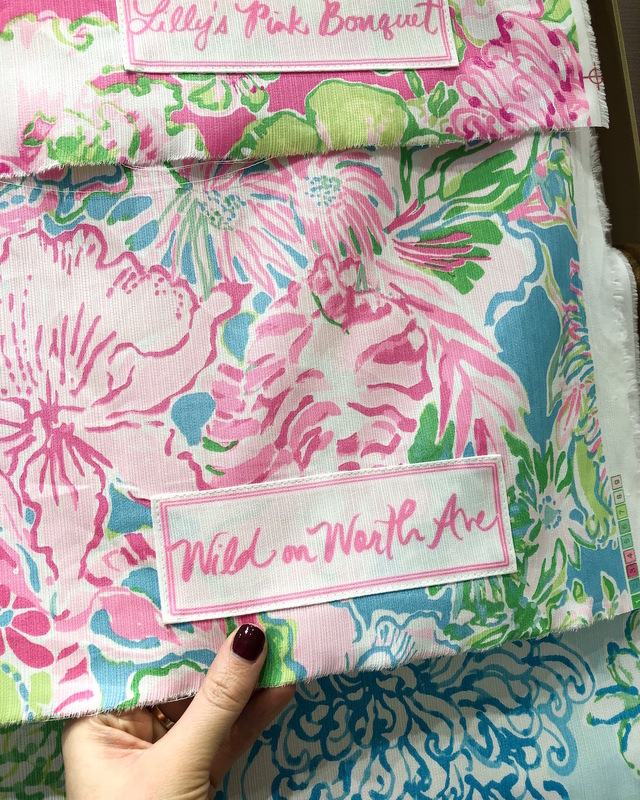 I’m a sucker for blue and pink so the Wild on Worth Ave print was an easy decision. Picking the lace and figuring out where I wanted to place it was the toughest step. 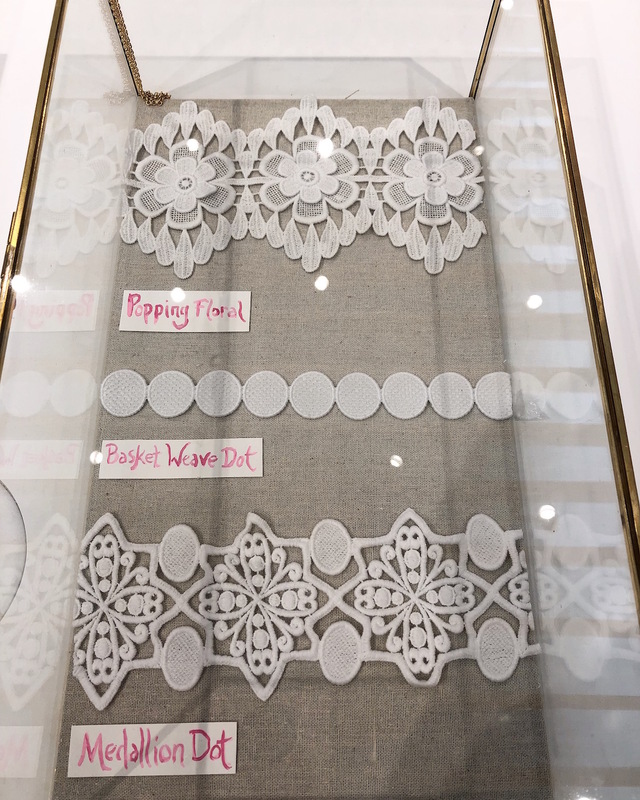 There are so many lace options to choose from and you can combine more than one– ahhh it took me forever to decide what I wanted to do! In the end I kept it sample and by adding a long length of Flip Flop lace down each side of my dress. When I saw my finished custom dress I wanted to cry! Ahhh I’m so obsessed with how it turned out. My name is even embroidered on the inner label! The store delivered it to my room at the hotel Saturday afternoon just in time for me to wear it to Lilly’s 60th Anniversary Party. 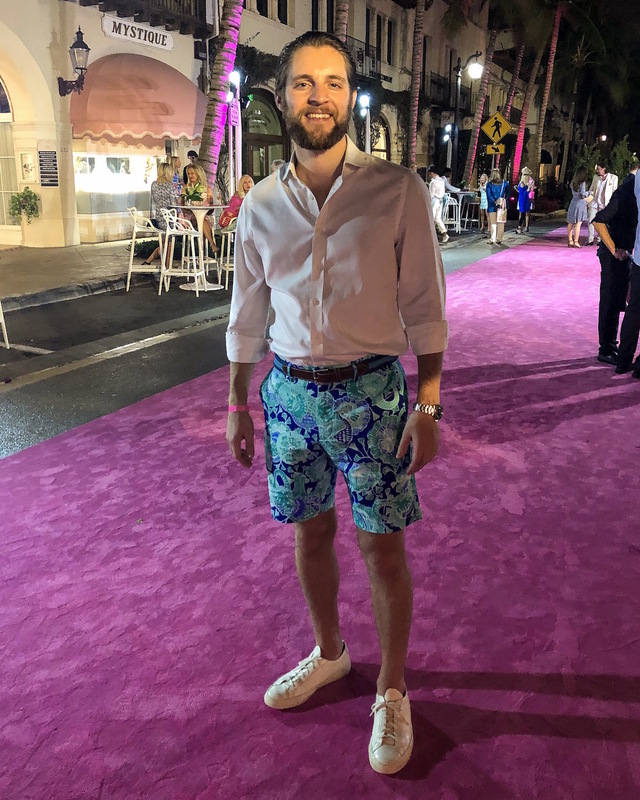 Getting to debut it on the pink carpet with Nick (who I finally got in some Lilly men’s shorts) and hundreds of other Lilly lovers made the experience of designing my own dress so much more special. It’s something I’m going to cherish forever! 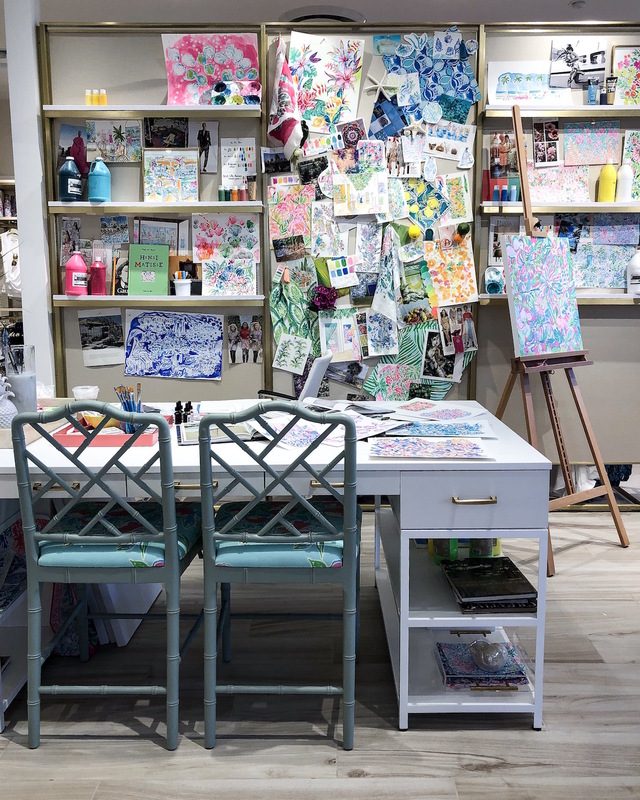 So you’re probably wondering… How can I create a custom Lilly Pulitzer dress for myself? What is the price? Right now the custom shift shop is only available in-store at the Worth Avenue Flagship and dresses are priced at $428. That means you need to find a way to get yourself to Palm Beach if you want to see one of these hanging in your closet. 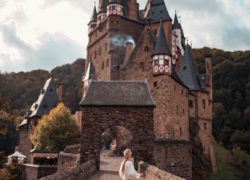 Good excuse for a girls’ getaway? 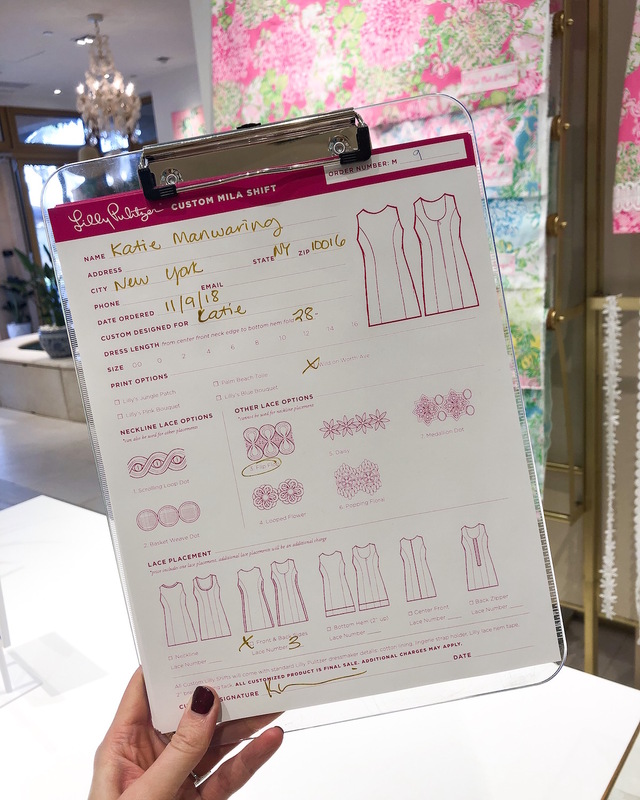 I got a few questions asking if orders could be placed over the phone or online, but given the detailed measurements involved and the fact that the dresses are one-of-a-kind and can’t be returned, I can see why Lilly decided to keep the experience to in-store shoppers only. Can you imagine placing an order over the phone and then your dress not fitting correctly or realizing the print is different than what you thought? I’d be so upset! 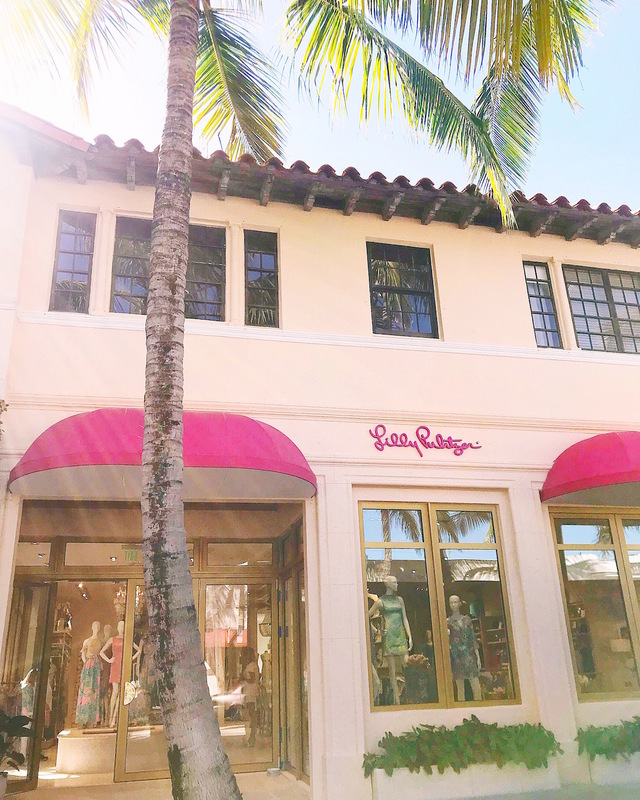 Here’s the store address– bookmark it for your next trip to Palm Beach! A dip on the pink carpet? Why not! I’ll take every single look please!!! PS you can shop all these now on LillyPulitzer.com. I may or may not have totally fan-girled when I met Lilly Ferreira, Lilly Pulitzer’s granddaughter! Her family attended the event all dressed in Lilly of course. How cute are they??? It only took 10 years… BUT I FINALLY GOT NICK IN LILLY! 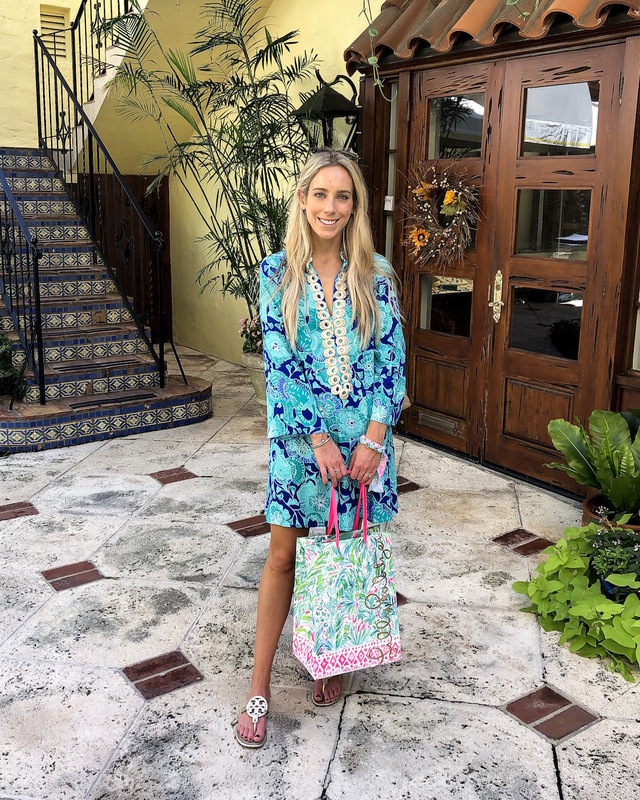 I mean what better way to sport a Lilly Pulitzer print for the first time than in Palm Beach? 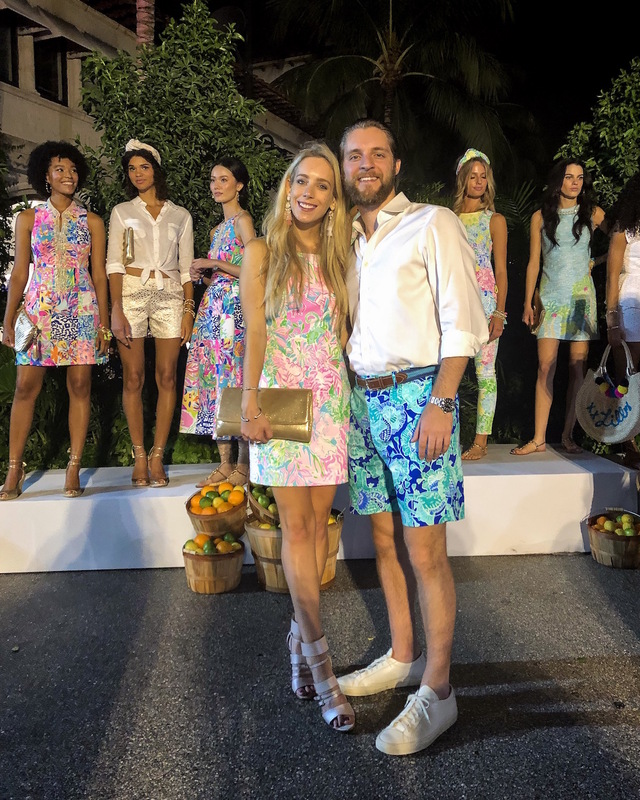 Ladies you can snag these shorts for your guy now on LillyPulitzer.com. If he’s stubborn just show him this photo of Nick! He looked so cute at the party! Wow, what a weekend! The entire experience was very much a “pinch me” moment. 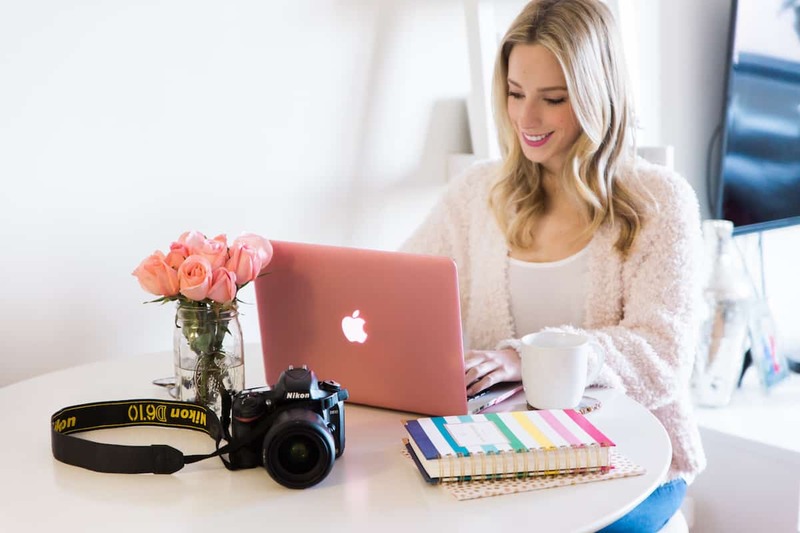 I remember years ago when I first started my blog (it was probably 2012?) 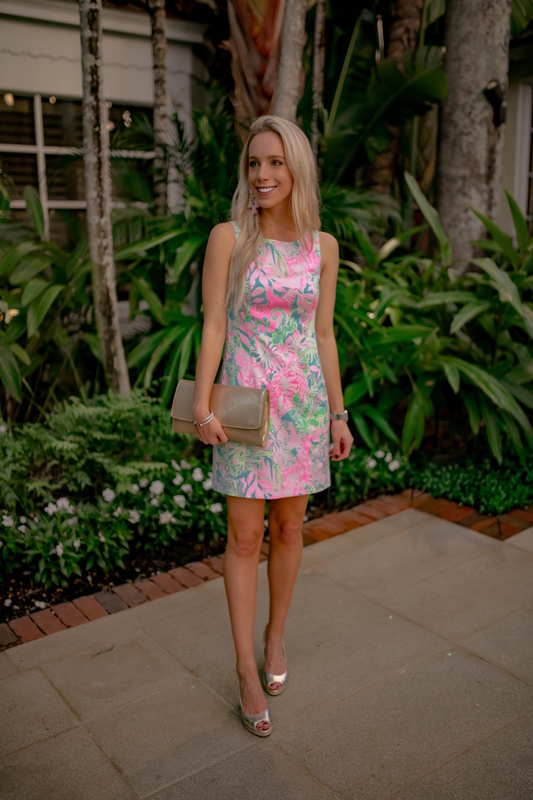 I posted about a Lilly look and the Lilly Pulitzer Twitter account RETWEETED MY BLOG POST. I basically lost my mind and felt like the coolest person ever. I didn’t have much of a following at the time so seeing one of my favorite brands acknowledge my blog was the biggest deal to me. I’ll never forget it! 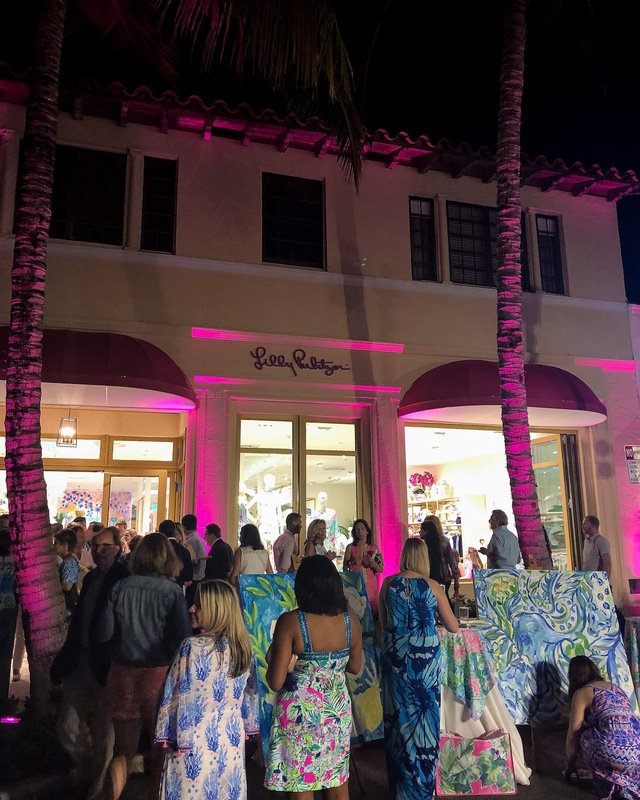 Fast forward six years later and I now have such a great relationship with Lilly Pulitzer AND I’ve been able to celebrate with them in the place where all the printed goodness began: Palm Beach! 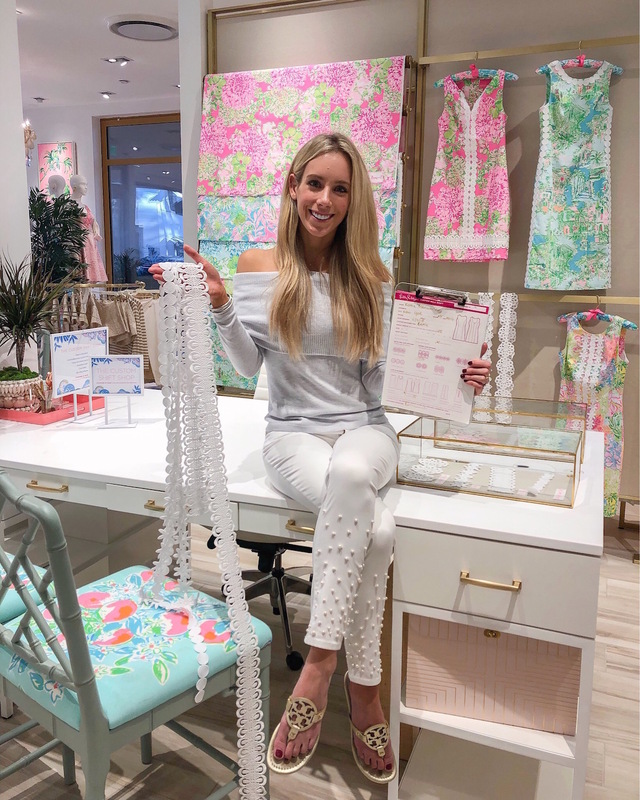 It’s awesome how things come full circle and I couldn’t be more grateful for the opportunity and that the Lilly Pulitzer team thought to include me in such a milestone celebration. Seriously the Lilly gals are the hostesses with the mostest! 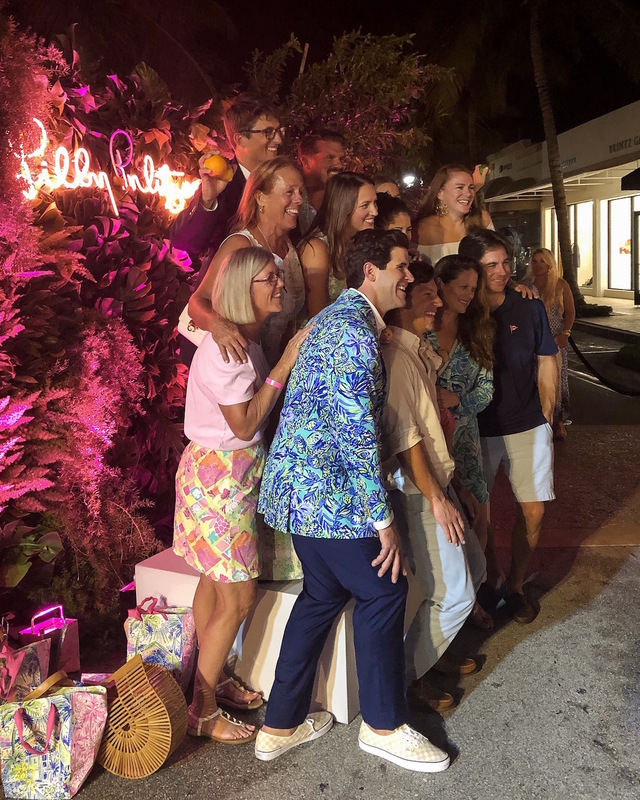 We had the best time and I’m so glad I could share my experience with all of you 🙂 Cheers to many more colorful years, Lilly Pulitzer! 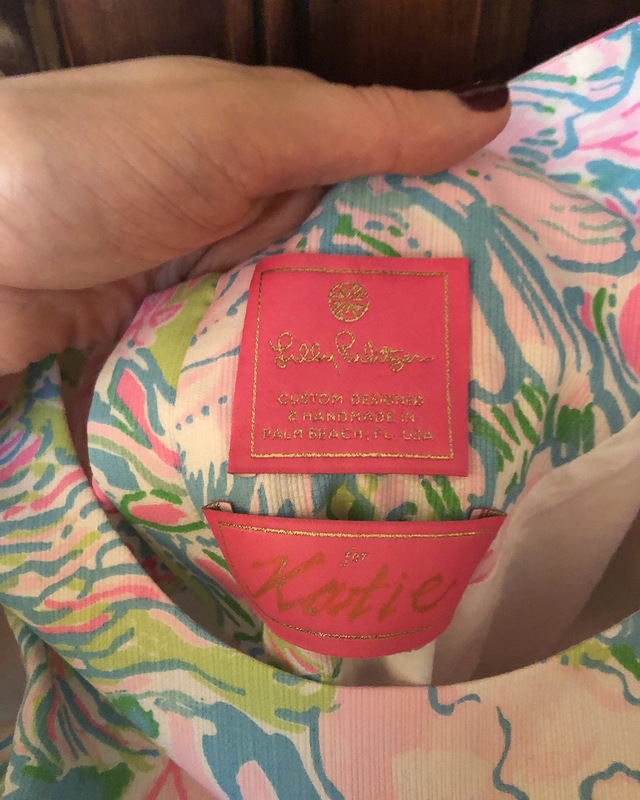 Big thank you to Lilly Pulitzer for sponsoring this post! 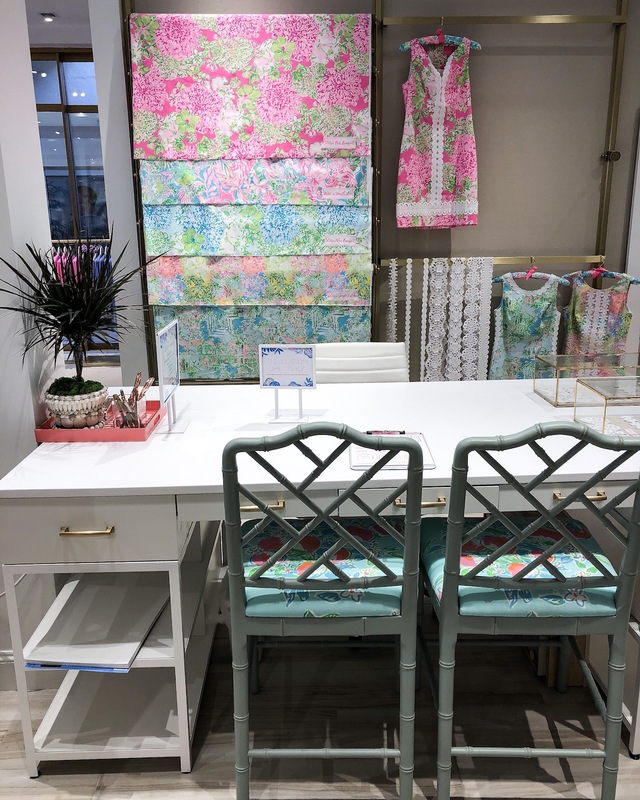 Come Hang With Me At Lilly Pulitzer! That surely was a magical moment! Love the exciting colors of Lily. Best of all Nick in those gorgeous, yet manly Bermuda’s. So nice to meet you! 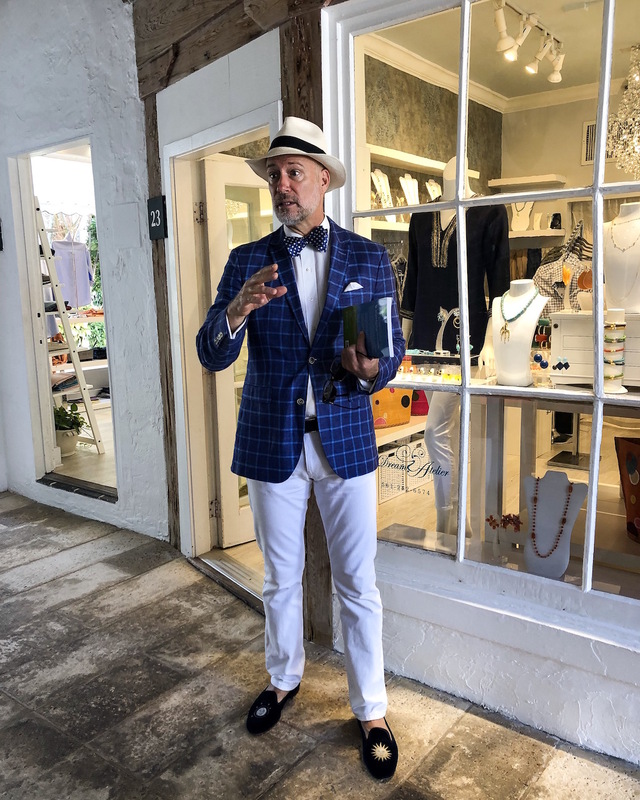 Next time, I’ll take you on my tour of Palm Beach. Oh, I totally envy you. I’ve been quite the avid Lilly shopper for many years. I live near “The Pink Palace” in king Of Prussia and have been lucky enough to have been invited there a few times for customer input events, but would love, love, love to go to Palm Beach.